Home › Senza categoria › Pakistan- Gunfire against an Airplane During the Landing Phase in Peshawar: a Dead and two Wounded. Pakistan- Gunfire against an Airplane During the Landing Phase in Peshawar: a Dead and two Wounded. Pakistan- Shots fired at an airplane in Peshawar from Riad: a dead and two wounded. One dead and two wounded: this is the budget of the shootout against an airplane landing in Peshwar, in the North West of Pakistan. Unknown assailants opened fire against a Boeing PK-756 of the Pakistan International Airlines, from Riyadh, with 196 passengers on board. A woman is dead, while two flight attendants had to have recourse to care of the hospital. “The shots were fired from outside the airport, one lady passenger and two stewards were wounded, the woman later died in the hospital,” airline spokesman Mashud Tajwar told AFP news agency. Flight operations have been temporarily suspended. Police cordoned off an area outside the airport after the attack and have launched a search for those responsible, Muhammad Faisal, a senior police official, said, adding that one air steward was in a critical condition. Another senior police official said the incident could have been catastrophic, as the PIA plane was flying only 1,500 metres above ground level when it was attacked. “Credit goes to the aeroplane pilot that he managed to land safely,” Najeeb Ur Rehman said. 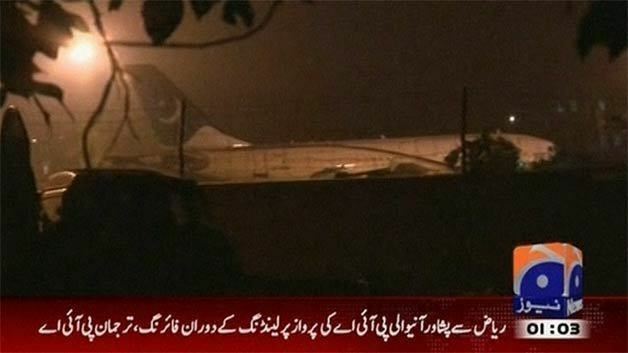 According to an official of the police the pakistani plane was achieved by five bullets. The authorities, according to the local media, have isolated the scalo and are on the hunt for those responsible. The attack was not claimed, but the government points the finger against the Taliban, to the address of which was launched an offensive with air raids in North Waziristan. An episode of the genus had already occurred on 8 June at the international airport in Karachi and the budget was 29 dead, including 10 assailants.